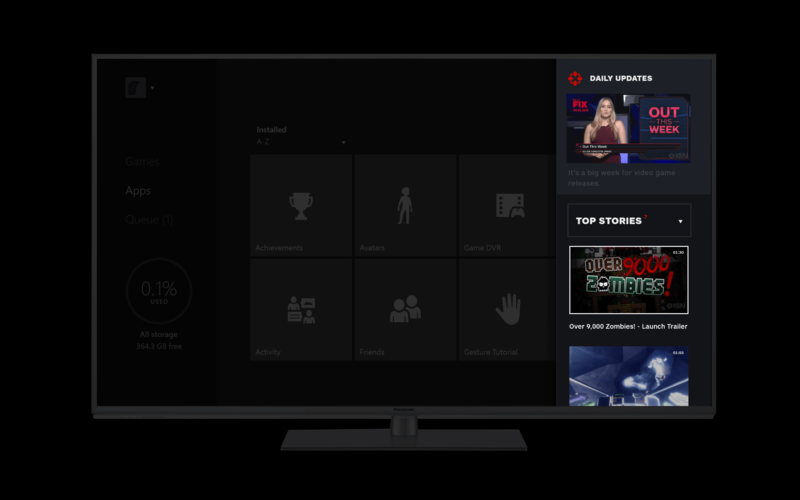 As the leading source for gaming news, IGN tasked us to design an Xbox One app that showcased their growing video content. 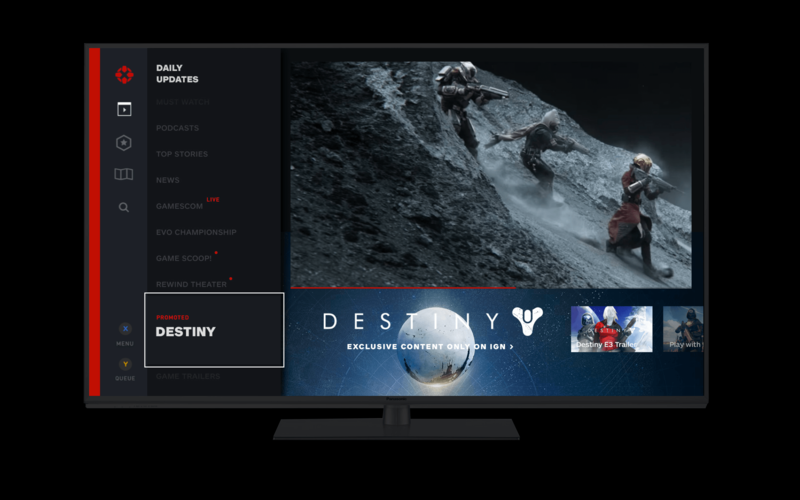 The result was a seamless viewing and browsing experience that integrated Xbox One features such as snap and queue. Designing for different use cases. 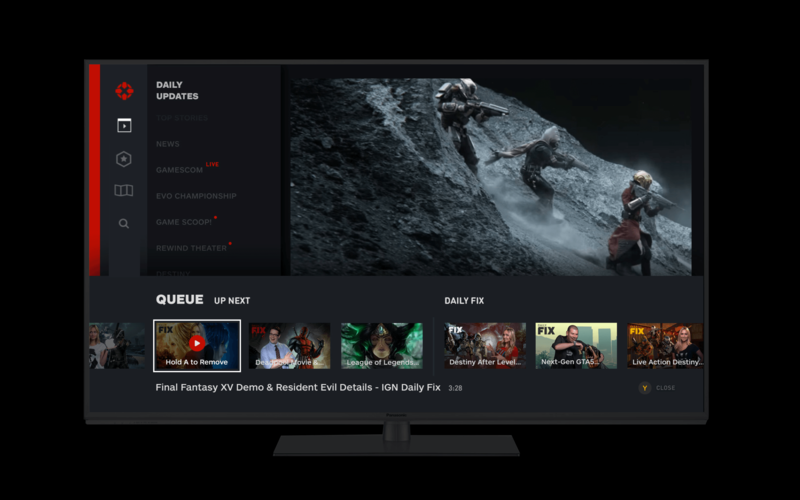 Snap view allows Xbox One users to open multiple panes in a single window. 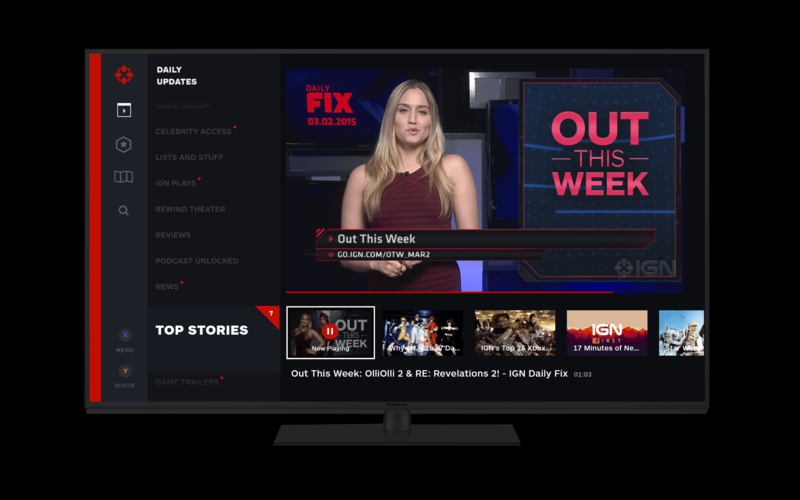 For a constant streaming experience we designed a fixed top bar while underneath users can browse through channels and video content. 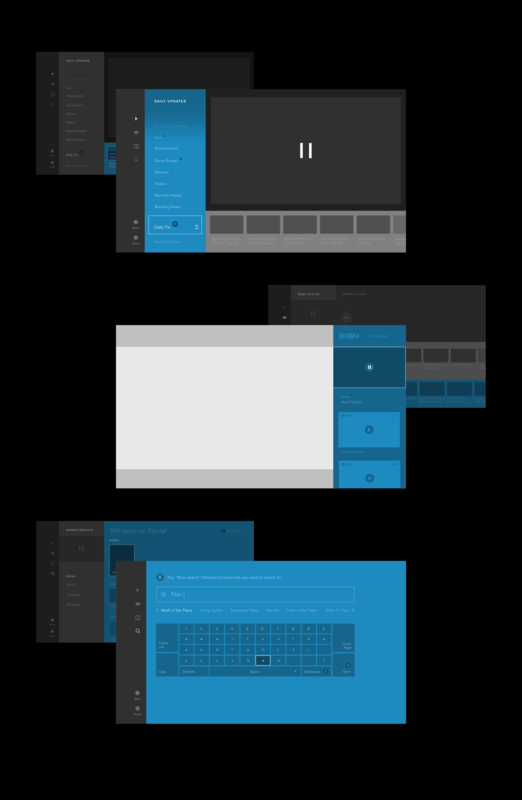 Along with wireframes, we provided a detailed user behavior document that outlined system interactions and user flows.